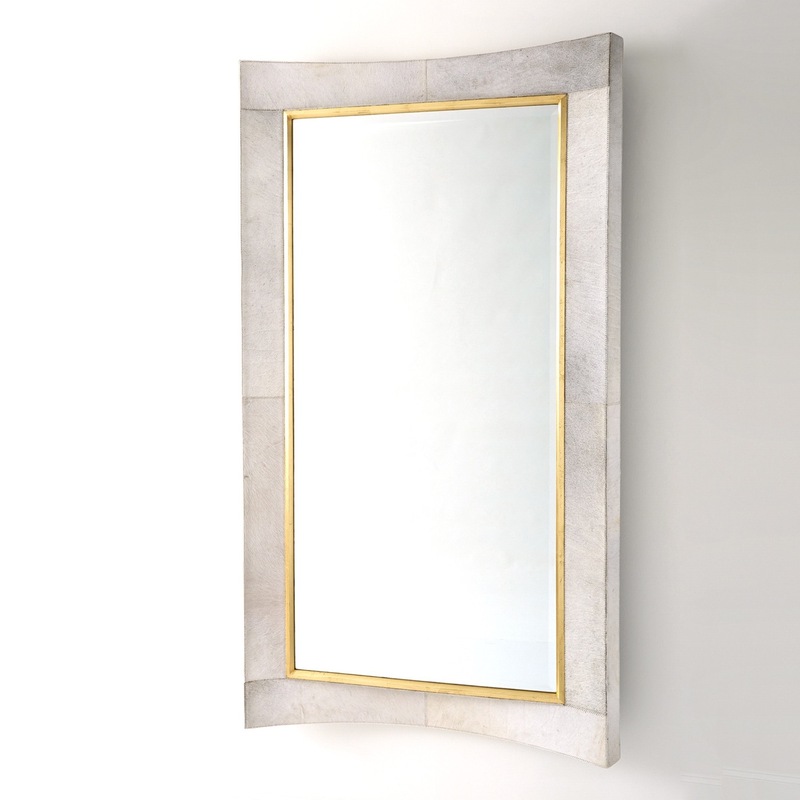 Upholstered in a luxurious ivory cowhide, this floor mirror makes a curvacious statement. The concave curves of its outer frame contrast beautifully with a flat-beveled center mirror that is bordered by a gold leaf detail. 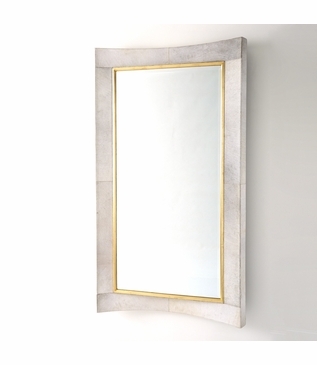 This elegant mirror hangs securely in a vertical position using a 12" wall cleat (included).